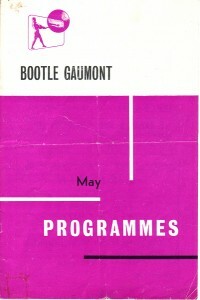 Cinema programme for the Bootle Gaumont from 1962. 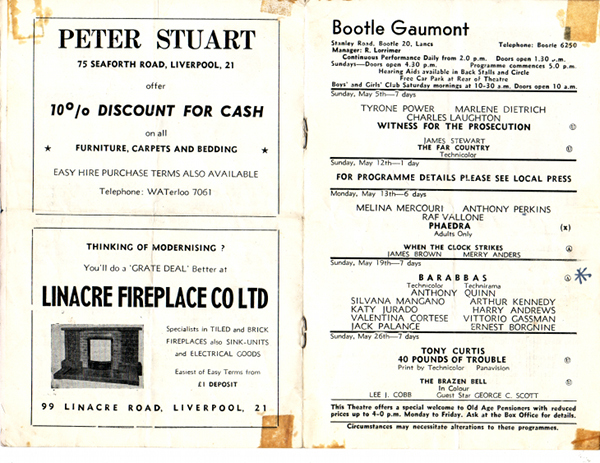 Although by this time television in the home had become more popular, we can see from this cinema programme that the showing of older films or re releases was still common place. 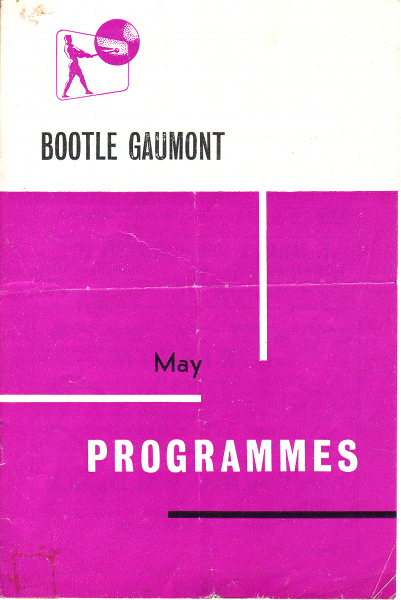 Notice that the first double programme of the month were two re releases; ’Witness For The Prosecution’ from 1957 and ‘The Far Country’ from 1954. The biblical epic ‘Barabbas’ from 1962 was at the time on general release.